The patch to address NBA 2K12's multiplayer problems went live for the PS3 today, and the updated trophies it delivered points to the game's unannounced downloadable content, and hints it may be coming soon. Reported first by Pasta Padre, the trophies and their descriptions give a little more detail on what you will be doing in the "Legends Showcase." There will be games of H-O-R-S-E, 21 and three-on-three challenges, set in a Times Square arena, involving all-time greats from the game's "NBA's Greatest" mode. 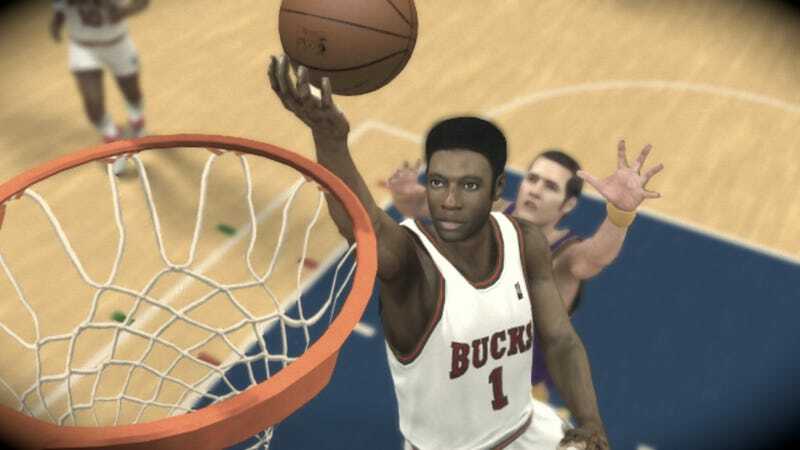 2K Sports originally said that the historic teams from "NBA's Greatest" would not be available in online multiplayer. Though they'll be available in the Showcase, it isn't clear if they are playable only in the Times Square arena. A 1-on-1 challenge involving created players from the "My Player" career mode also will be available, though it is not a complete replacement for the 5-on-5 "My Crew" mode, whose removal disappointed fans of that feature. Widely assumed to be premium DLC, 2K Sports has declined comment on its price or its availability date. But my understanding is that the inclusion of trophies in this case does not necessarily mean the DLC associated with them is free. You can see the full list of trophies and their descriptions at the link below.